FoodAbhi, an online tiffin marketplace catering to daily and on demand meals, recently raised a seed round of funding from investors who are based in US, UK, Netherlands and India. Mumbai residents can now order a meal starting at Rs. 70 from a variety of cuisines and tastes and the service could soon spread to other cities. The company plans to use the funds for technology expansion such as apps that will help customers track deliveries and also enable the startup to track vendor activities. Founded by 31 year-old Amit Dube – a hotel management graduate, and his 28 year-old wife, Shraddha as they could not find economic and hygienic meals and tiffin service too that was willing to cater to a single meal without a month-long subscription. Hence the name FoodAbhi which delivers tiffin service for lunch and dinner and last-minute orders too. The company, launched in end-2013 on a startup capital of Rs 10 lakhs, is in its second year of operations and has served more than 15,000 tiffins in Mumbai, Dube said. "We offer freshly prepared home-like daily meals for lunch and dinner through various food vendors. Meals are delivered in hygienic packaging," he said. The size of the food market in India was around Rs 23 trillion in 2014. It is expected to touch around Rs 42 trillion by 2020, along with a three-time increase in average household income from 2010-2020, according to consultancy Boston Consulting Group. The tiffin sector caters to a demand of 2.5 lakh customers daily and there are only seven to eight organized players and over 90 percent unorganized players. No matter how good the food, logistics can play havoc with a tiffin service, said Dube. To avoid that, the company decided to get into logistics and has its own team since April 2014. The company gets around 100 customers in a day and approximately 2000 tiffins on a monthly basis. Of this 10 percent comprise of students. 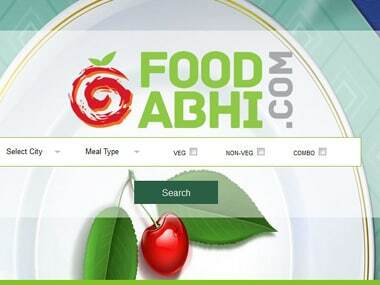 FoodAbhi.com offers four meal options including mini meals and a diet meal. 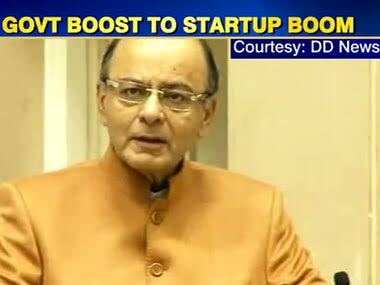 With the seed round of funding, the company hopes to extend its reach. Until now, it has serviced Mumbai from the South Mumbai region to Parel. It plans to cover entire Mumbai soon and in the next two months, expand its reach to Pune and Bangalore and later Delhi. “We have already started working with food partners in these cities,” said Dube. For the tiffin services, what is needed, says Dube is food options and multiple partners who can cater to multiple tastes. He said there is no competition as such for the kind of services that FoodAbhi.com offers. “We have approximately 30 food vendors listed on our website to cater to a variety of tastes and cuisines. Food vendors are listed free of charge on our website. We organize scheduled and surprise audits to check on hygiene, ingredients used, etc on a regular basis. Our aim is to make FoodAbhi the go-to choice for any individual. We have introduced some innovations for our vendors and customers such as the ability to order tiffins for dinner, pause a meal or change a food vendor etc,” said Dube. "Our aim as if now is not profitability as much as economies of scale," added Dube.